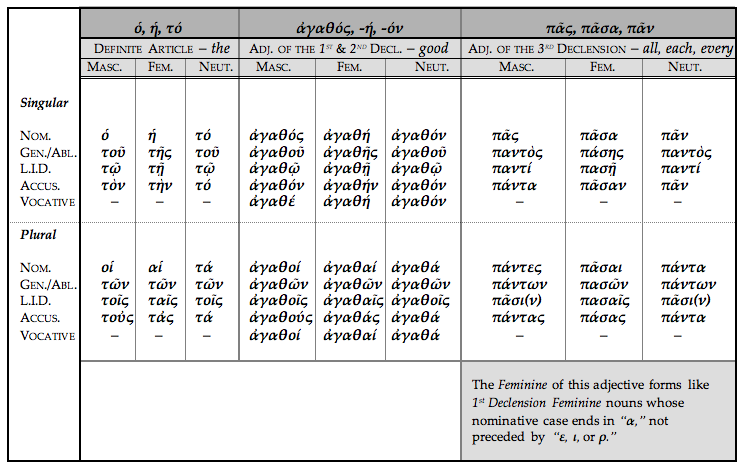 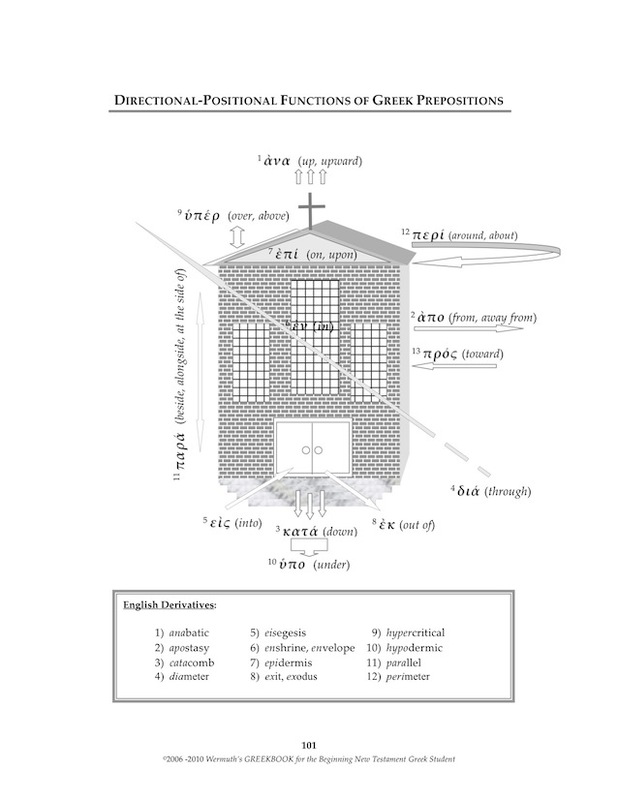 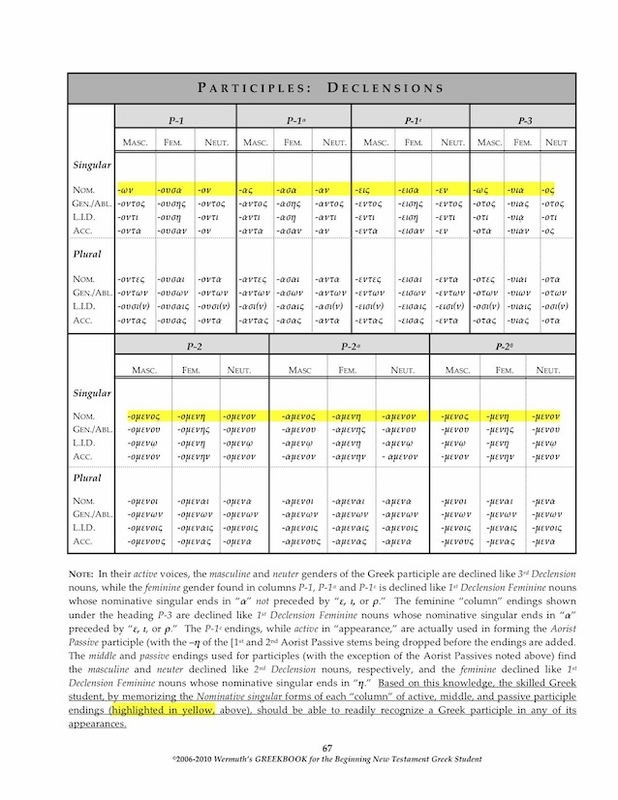 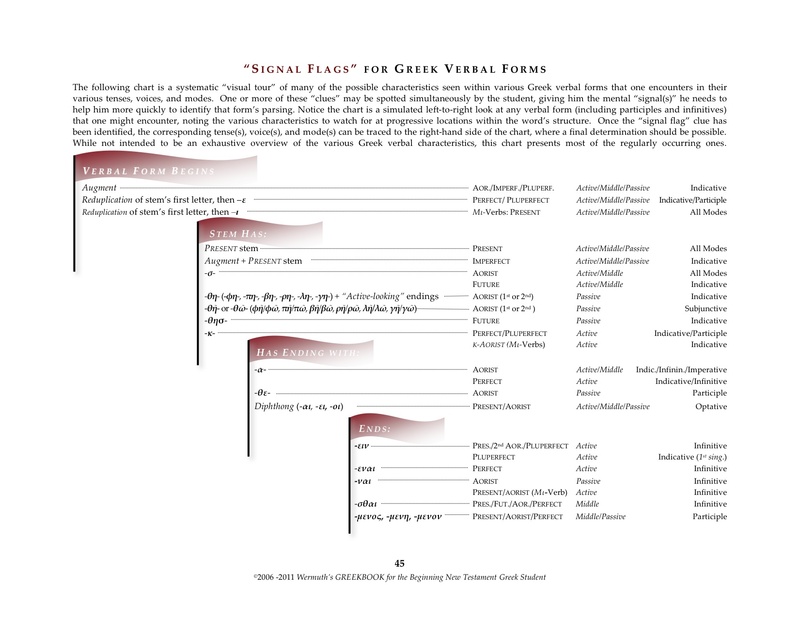 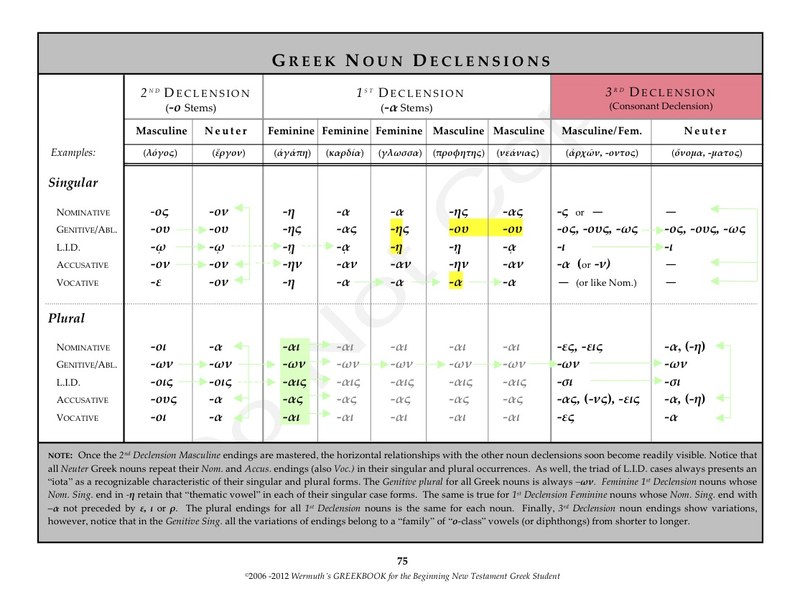 While there are quite a few more Greek prepositions than these, the visual below concentrates on the ones having directional or positional functions. 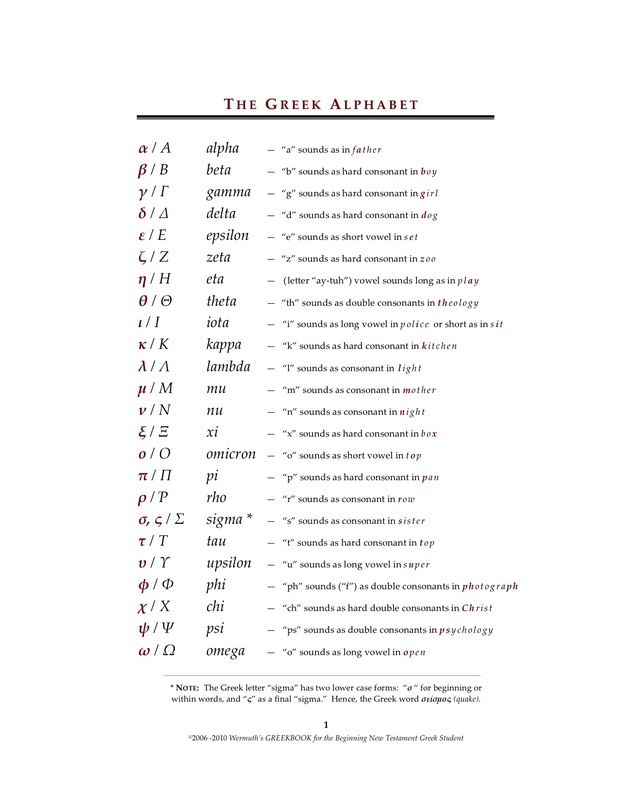 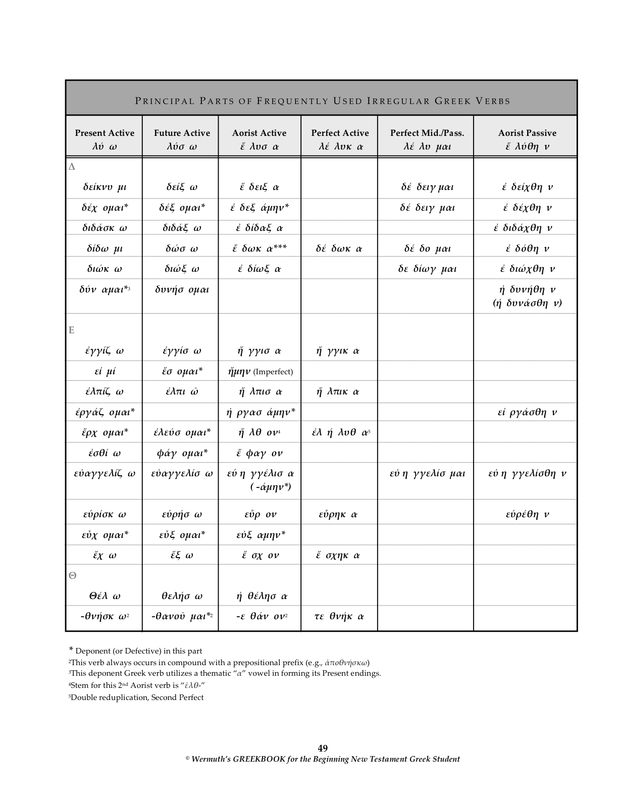 Many English words are also derived from these particular Greek prepositions, including apostasy, catacomb, diameter, enshrine and envelope, epidermis, exodus, hypercritical, hypodermic, parallel, and perimeter. 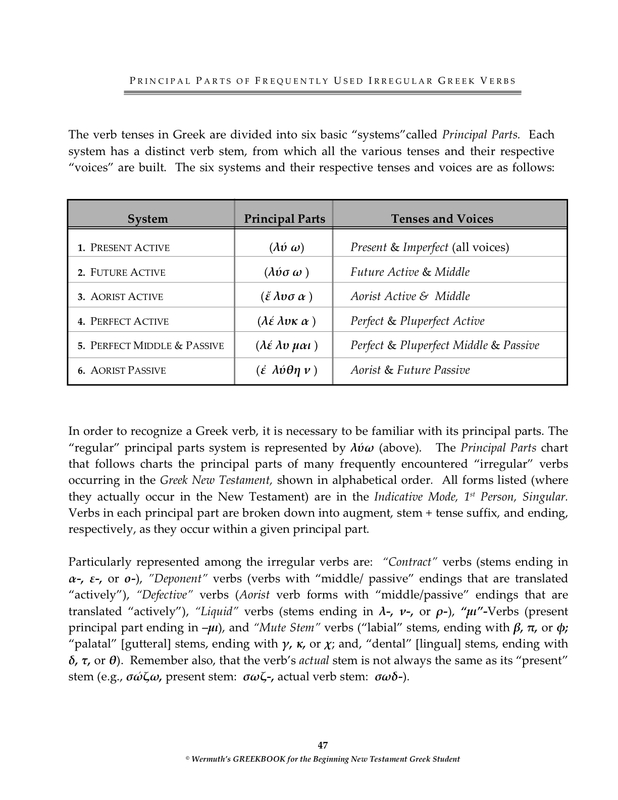 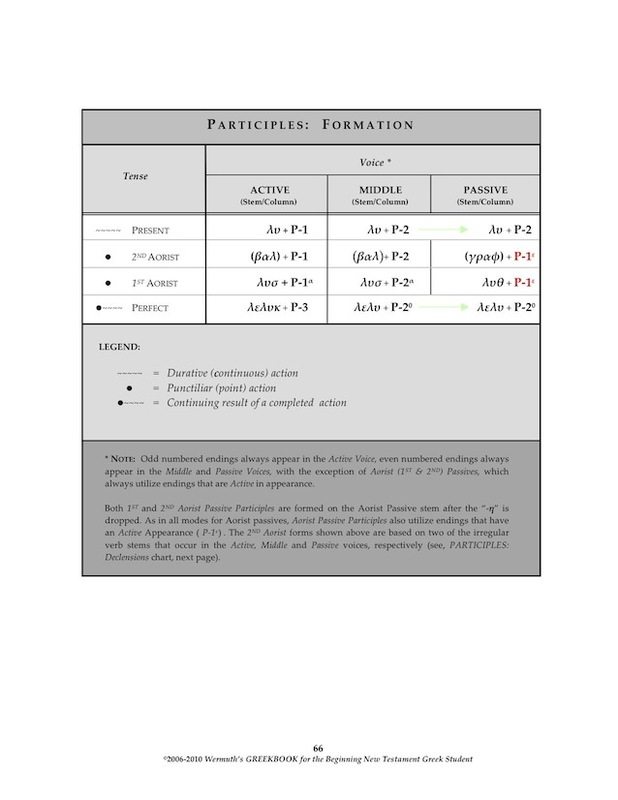 For a downloadable PDF of the above diagram, click here. 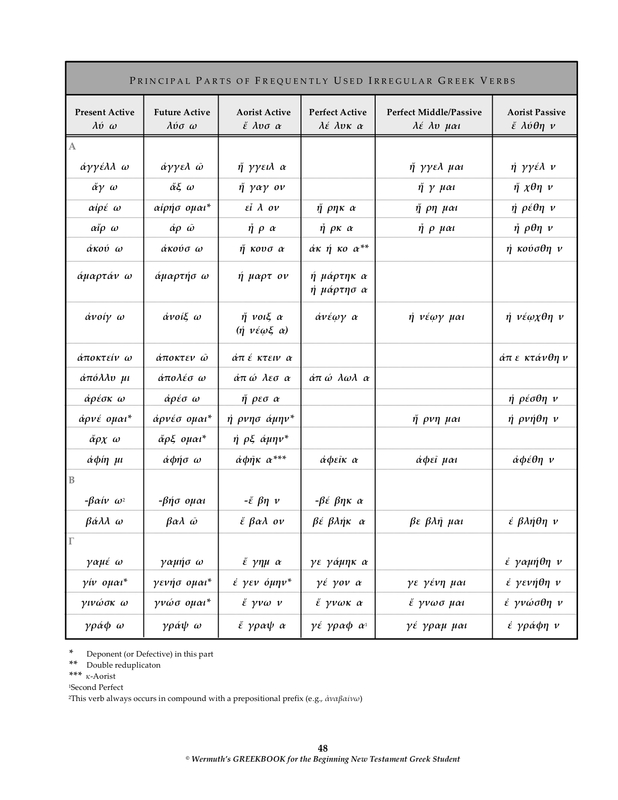 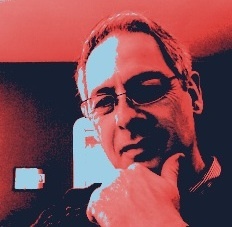 The same is also available at any time from the sidebar.